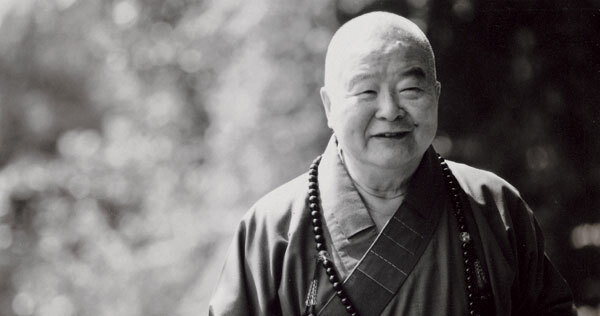 Born in 1927 in Chiangtu, Chiangxu Province of China, Venerable Hsing Yun was ordained as a novice monk at Chi Hsia Shan monastery at the age of twelve. In 1949, when mainland China was immersed in civil war, he left his homeland for Taiwan. Over the past five decades, the strength of his vow to revitalise Chinese Humanistic Buddhism and create a Pure Land here on earth has greatly influenced Buddhist studies and practices. Recognised for his bold and innovative methods of propagating the ancient teachings to meet contemporary needs, Master Hsing Yun founded the Fo Guang Buddhist Order and its many branches, the Buddha’s Light International Association, as well as associated universities, Buddhist colleges, libraries, publishing houses, art galleries, and a free mobile health clinic. He is a living example of the Fo Guang Shan motto: Offer others faith, offer others joy, offer others hope, offer others convenience. 星雲大師一筆字展，延長開放! One-stroke calligraphy by Master Hsing Yun, is extended! 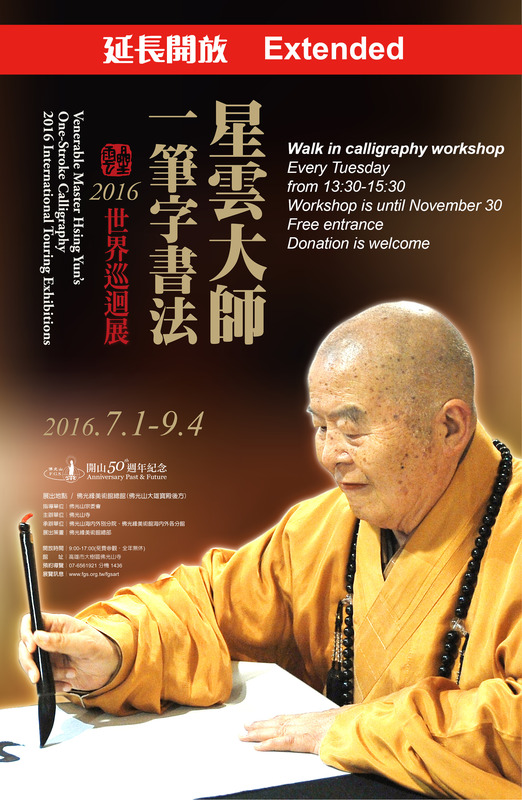 The Calligraphy exhibition is extended Free entrance and donation is welcome.